Transference is a joint effort between Elijah Wood’s SpectreVision film production company and game developer/publisher Ubisoft. Primarily made for VR, the title is also able to be played on a traditional screen. 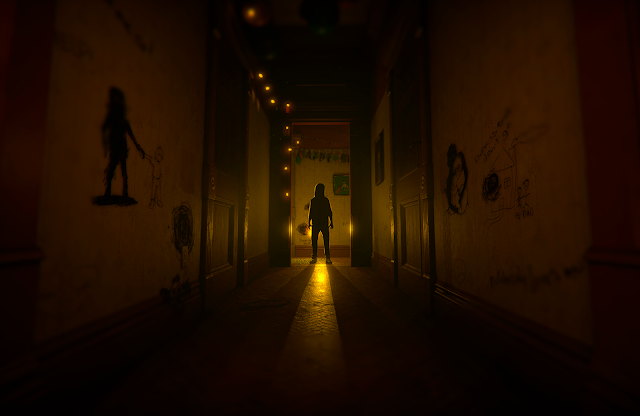 Transference is a psychological thriller about a man’s destructive obsession; the player explores his digitally recreated memories. The setting is a dream-like home, a maze-like puzzle concealing the truth needs to be escaped. Through these digital memories, can the player actually influence the characters’ fate? The home contains the memories of a fractured family, and through gathering evidence of its history you can actually choose how to help them. The family patriarch, Raymond Hayes, is a troubled scientist but you can still shift between three different perspectives to include the memories of his family (wife Katherine and son Benjamin) as well. Each choice creates a ripple effect from that point forward. The entire experience is first-person, of course, to lend to Transference’s VR capabilities. For the VR platforms — PS VR, Oculus Rift, HTC Vive — the game has customisable input. Using Oculus Touch or HTV Vive Controller, you can manipulate the world with your hands. Thankfully, the game is playable on traditional platforms as well: PC, PlayStation 4, and Xbox are all options to get your FMV fix when Transference is out this fall.